But how will you know when you're ready to make the move? Keep reading to find out, and learn some important considerations you'll want to make along the way. When you bought the home you're in now, you had plenty of reasons to think it was a great choice. It was probably big enough, but over time life and its many changes came your way. As you got settled, more furniture was moved in to fill empty gaps, and as the years passed by you naturally gathered more things. Maybe some children came along, or a couple of pets. Either way, now you're trying to find places to store things and there are no places anymore. 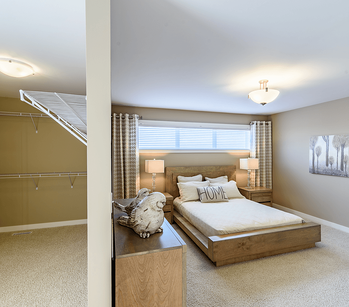 Think about it this way: if you declutter as best you can and you still have to stuff items in boxes under the beds, it might be time to move to a bigger home. You might also find that the bedrooms or bathrooms you thought were sufficient at the time you bought this house, are tiny now. If children came into the picture, they'll want their own rooms. If pets came into the picture, the overall square footage can easily feel smaller when you're climbing over them to get to the kitchen. And if either one of these new additions has a high level of energy (which they typically do) your home will feel even smaller. Once you've taken the time to really think about where you're at currently and the type of home that will meet your updated lifestyle, it's easier to make the decision to move into a new home. While it can be tough to detach yourself emotionally from your current house and the many fond memories you've made there, this is an overlooked step and one worth considering. You can then fully dive into your new home search and avoid any buyer's remorse, focusing more on the excitement of what a brand new home can offer your family. 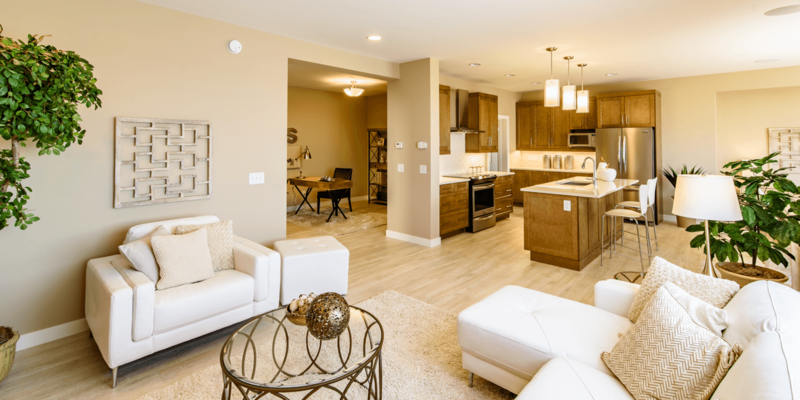 You can now pick the perfect floor plan for your big family, with all the features that will make everyone more comfortable. Before deciding to upgrade to a new home, there are a few responsible items to consider. The first, of course, is if you can comfortably afford the average price range of a new home build. Next, it's whether or not you can afford the increase in monthly expenses. Unless you're able to put a significant down payment on your new home, your mortgage payments will very likely increase. The cost of living in a larger house also plays a role. Utilities might be higher, along with property taxes, and overall maintenance costs. Be sure to make a proper budget, though, as these increases may not be as high as you initially anticipate. Financial stability is something else to consider. Lenders will be looking at your current debt load and how your new payments will measure up. When considering purchasing a new home, be sure your other credit, such as lines of credit, credit cards, and loans are all in good standing and not maxed out. Selling your current home can be a daunting task while you're looking for a new one. The timing has to be right to ensure you won't end up in a difficult situation. Look at the current housing market to see the average number of days homes are on the market, and determine both your timing and your asking price based on when you need to sell the home and move out. This can be an art, and your new home sales representative is a great resource to let you in on the secrets of a successful home sale. Another thing you'll want to keep in mind is the other costs associated with buying and selling a home besides the purchase price. There is also the option of a bridge loan that can make for an easier transition as you handle the sale of your current house while looking to move into a new home at the same time. Being financially thoughtful is also important when you're shopping for a new home. You need a bigger home, and you can afford one, but it's not always smart to accept the maximum amount for which you qualify. Be responsible with your choices so you set yourself up for a financially sound future. 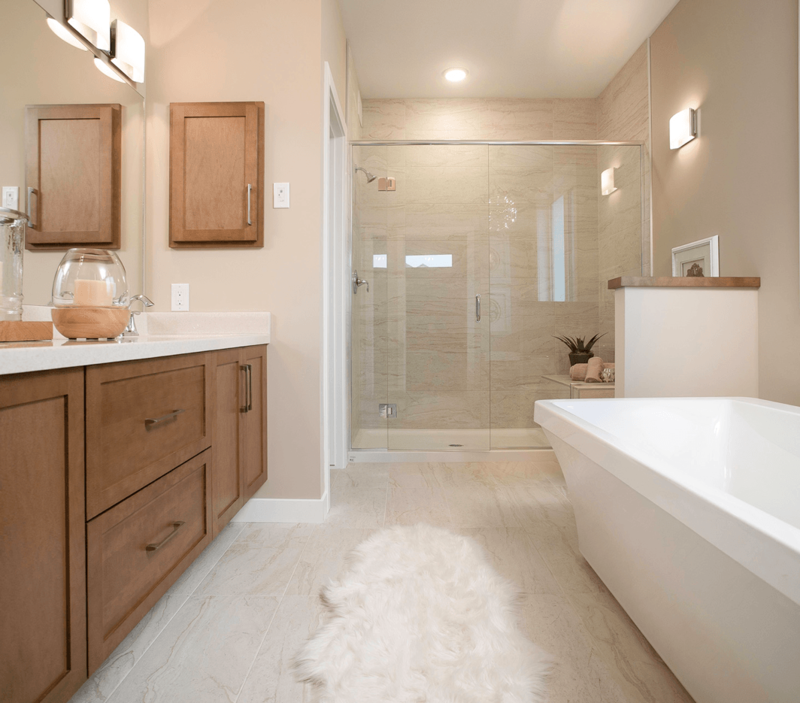 It's sometimes smarter to get a home that's just right for your current needs and upgrade a few things than opting for a home with excess space you won't actually use. You likely have a few pain points in your current home. Not enough bedrooms, sharing a bathroom with too many people, or even the lack of a dining room for your family's heirloom dining set. These are lifestyle considerations to make in a new home build. Whatever your reasons for wanting a new home, the change will be a positive one. When you create an ideal floor plan you can grow in , you'll have more room to stretch out, and your mental health will improve by not feeling crowded in your own home. All of the items you've accumulated over the years will now have a special place to reside and will look like it belongs somewhere instead of in a box. Kids with their own rooms will flourish and fight less (we can hope, anyway). Shopping for a new home is quite a fun process. Dreaming about the next step in your life, choosing a floor plan that works for you, and even being able to select your own finishes and colours, means you'll love your new home even more. Although it is a big decision to move up, the lifestyle you'll achieve as a result is worth it. Originally posted October 18, 2017, updated March 1, 2019.